The tower is easy to reach. 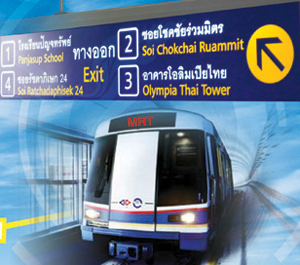 The Mass Rapid Transit (MRT) Ratchadapisek subway station is directly in front of the building's entrance. Motorists should also find it convenient to reach this landmark on Ratchadapisek Road, which is on the in-bound side of the four-lane ring-road and not far from the Ladprao Road intersection, Moreover, this location is equally well served by several expressway links that makes travel to all parts of the city, including the international airport, quick and convenient. 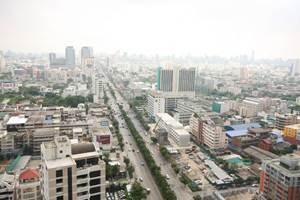 Moreover, Ratchadapisek is a thriving business and entertainment area with many hotels, shopping malls and places where you can unwind and socialize after work. There is a separate, spacious car park building for 330 cars and a special, 7-metre-wide ramp for the convenience of tenants and their visitors. 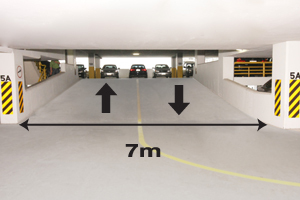 This is wider than other parking facilities which typically have just a 5-metre-wide ramp, while an additional outdoor car park is spacious and easy to access for visitors. Our computerized parking system consists of IN-OUT time recording system and CCTV cameras that work together. The CCTV cameras are able to record the driver's face and license plate simultaneously with both the arrival and departure times for verification before allowing each vehicle to move out from the parking building. 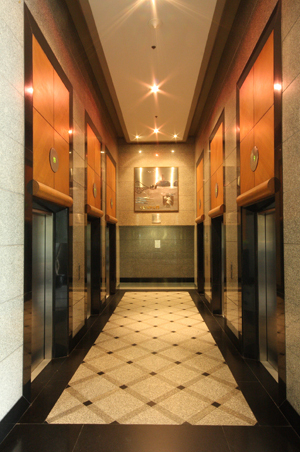 Six high-speed lifts achieve an efficient average waiting time of less than 30 seconds, with one more high-speed lift unit than building standards dictate.